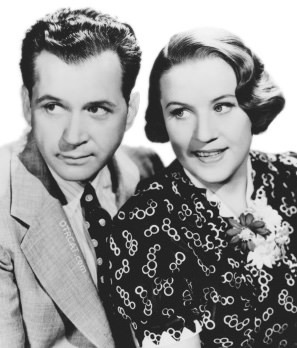 Couples and family life has long been a mainstay of American situation comedy. By definition sitcoms feature reoccurring characters in common locals like the home, office, or community. 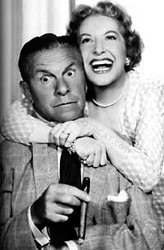 This compilation highlights comedies featuring married couples -- often called domestic comedies. 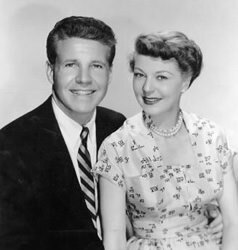 From ditzy housewives like Blondie and Gracie Allen to odd couples like Abie's Irish Rose to everyday couples like The Lockharts, this old time radio comedy couples collection has OTRCAT.com favorite couples. 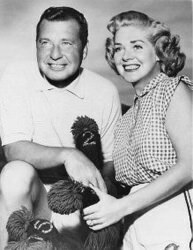 We also included episodes of The Better Half, a quiz show that pits married couples against each other for prizes. Be the first to comment on "Comedy Couples"